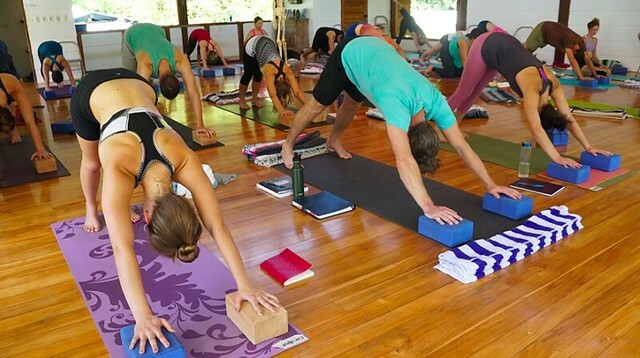 I was inspired by famous yogis who were leading peaceful, loving, and stimulating lives. I knew it was time for a change. 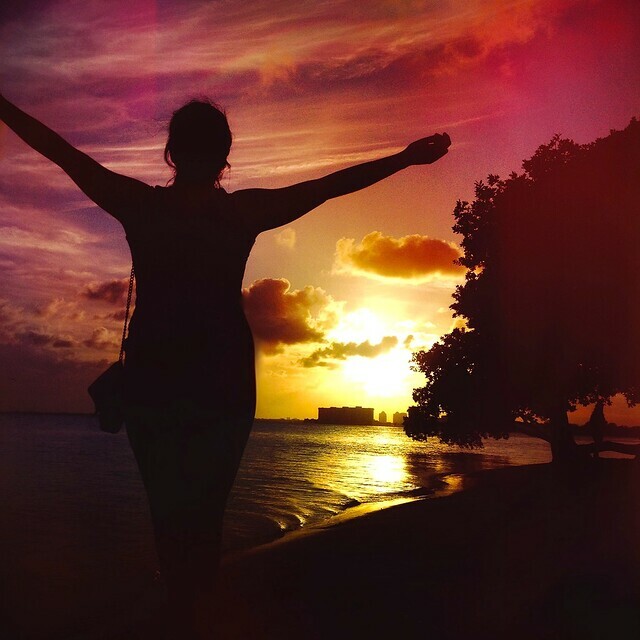 I thought If I am not obsessed with the life I am living, why not choose something different? 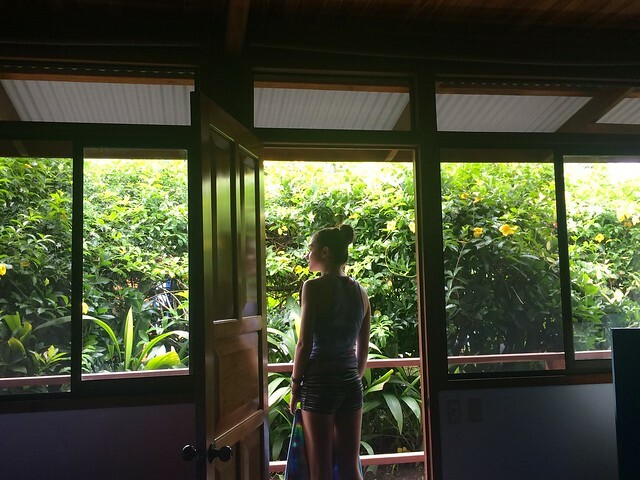 Being a nature lover and an adventure seeker, Costa Rica seemed to be the perfect place to start my journey. It always came top on my list of places I wanted to visit due to its rich biodiversity. 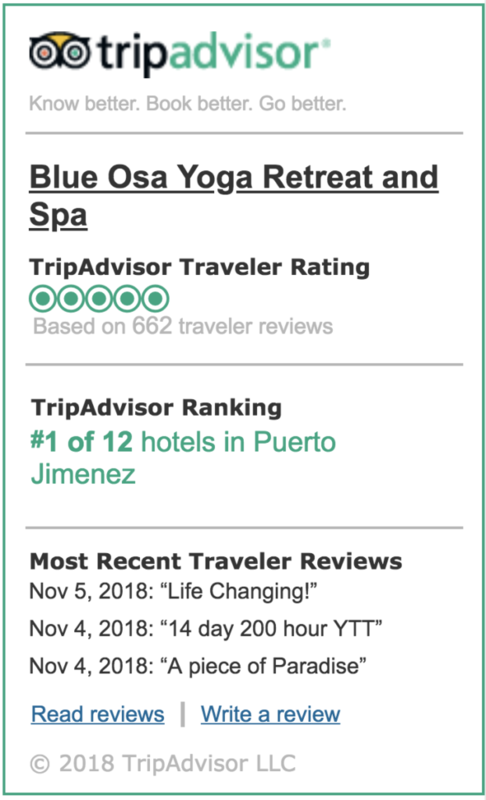 During the research phase, I came across Blue Osa Yoga Retreat and Spa, it was the first result returned on my google search. 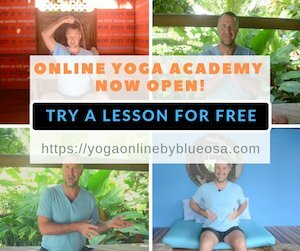 I knew immediately that this was going to be the place for me, and it wasn’t long until I had signed up for a 30 day yoga teacher training course. I was a creature of habit, used to having my own routine, my own bedroom, the same faces surrounding me, and having control of my day to day life. Coming to an entirely new place and living amongst people I’d never met before dragged me firmly out of my comfort zone. Little by little I started to notice a transformation from the person I thought I was to the person I knew I wanted to become. Each one of us had our own reasons for being here at Blue Osa. 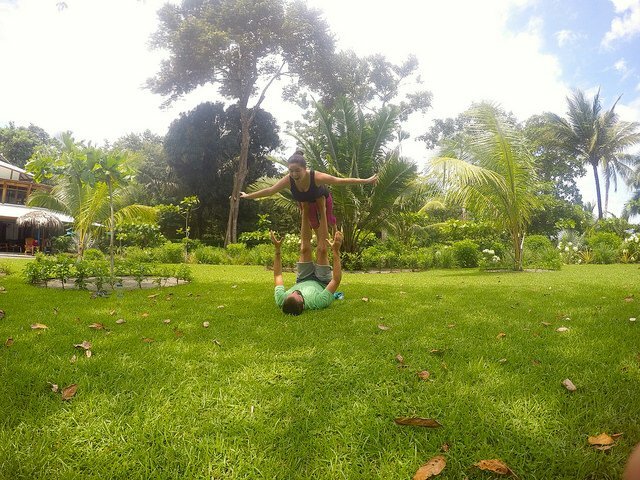 We quickly formed a bond where we trusted and supported each other. This made me feel more at home and encouraged me to keep on going for those 30 days! None of us were alone, we were all in this together. I got to meet and live with so many amazing people with similar mindsets. It was comforting to know that there were like-minded people out there with similar goals to myself – each one brave enough to take that leap of faith into the unknown. Learning about something I knew so little about, yet knowing it was something that promoted such a healthy and positive mindset, allowed me to make the most out of these 30 days. Slowly, I started to grow into something that resembled my best self. 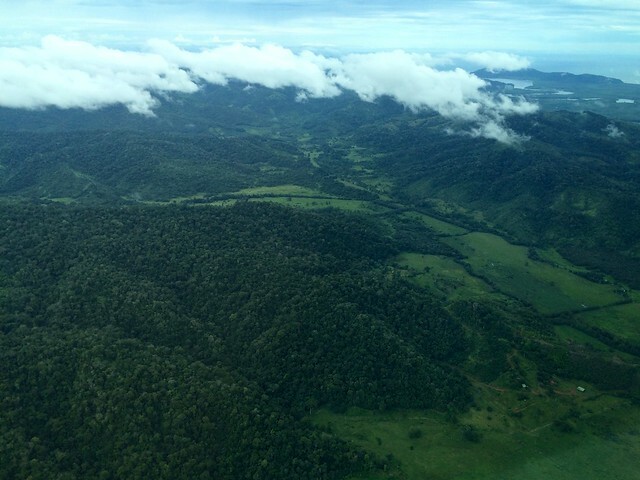 When I flew over the Osa Peninsula (a one hour flight from San Jose, the capital of Costa Rica) I was blown away by the views. 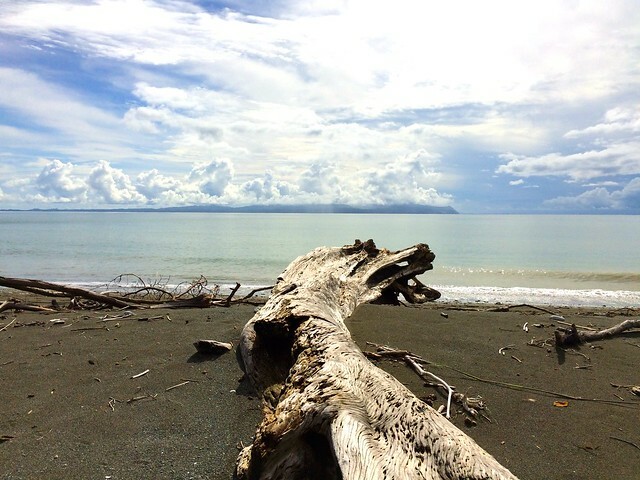 There was a beautiful mix of landscape, from dense green jungle to gorgeous coastlines framing the turquoise ocean. I was like a little kid on Christmas Day with my nose pressed up against the plane window. Back on land, in the car journey to Blue Osa, I couldn’t help but keep my window rolled down all the way. It was impossible to distinguish between the cacophony of animal and bird noises. Again, the scenery was breathtaking with tall, leafy trees lining the road and a colorful cascade of different flower and plant species. The whole time all I could think was I don’t think I’m going back to Florida. For 30 nights I slept indescribably well. Falling asleep with the sounds of the waves crashing against the beach is the best lullaby anyone could ever ask for, I felt completely relaxed. After meditating in the morning with the sound of the Osa in the background, I would sit by the beach watching the sunrise. I enjoyed daily swims in the ocean, playing with Blue Osa’s pets, and eating fresh vegetables from the homegrown garden. Cars horns and ambulance sirens were replaced with howler monkey calls, and birds chirping. 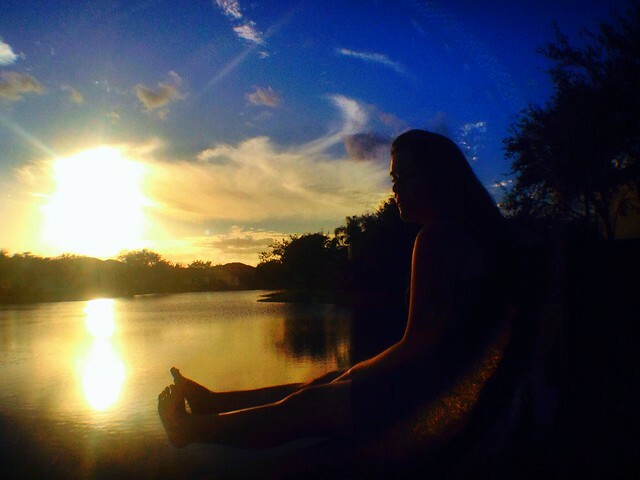 Instead of seeing people rushing everywhere I became accustomed to stillness. Nature was slowly molding me into a different mindset, I felt like I was returning to my roots. Less attachments to electronics …. I started to see the benefits attached to not always being glued to the phone, or being a slave to social media. I no longer cared about tags or statuses. There are no televisions at Blue Osa, but I didn’t mind. 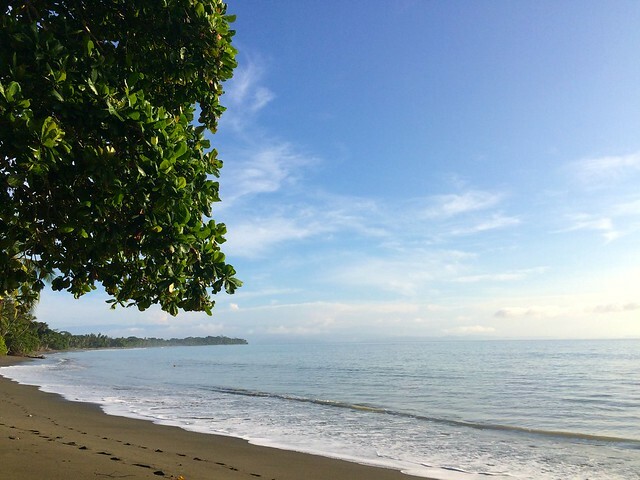 Instead of being woken up by the news first thing in the morning, I stirred to hear the waves of the ocean and the sounds of birds and monkeys. In the beginning this was a bit of a challenge, but then, wasn’t that what the 30-day immersion was about – facing my challenges? A routine of waking up just before the sunrise, drinking warm water with ginger and lemon, followed by my breathing practice and meditation all began to give me a new sense of mindfulness. There’s something magical about starting the day in a relaxing zen state, that simply inspires the body and gave me energy for the rest of the day. Having combined my new routine with a daily yoga practice, I started to notice my transformation.. Eventually, all the daily meditation practices and the studying from books chock full of wisdom helped us gradually overcome the challenges involved in living in such a different environment from home. Being well and truly out of our comfort zone started to feel good. I was sleeping better than I ever had before, I felt full of energy, and with that energy I craved self betterment! I started to become more aware of my health, craving nutritious foods. I had found a group I could call a family, that had started to feel like home, simply because I came to feel at home in myself. Eventually, I understood what it meant to love myself. Finally, here were the answers I was seeking. Even though I had arrived at the end of my training, I knew I was standing at the beginning of a brand new journey. 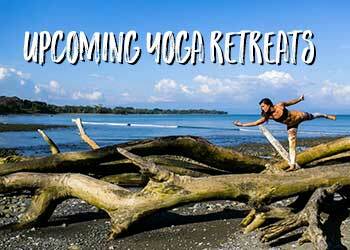 Perhaps you’re ready to take a leap into the unknown, could a yoga teacher training in Costa Rica be the answer? Alternatively, perhaps you need some individual TLC? Fortunately, Blue Osa is at hand to provide just that. Your journey seems quite inspiring and the finding to the best self is always satisfactory! !